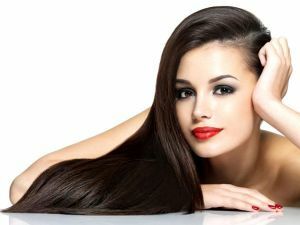 Buy Wigs in Toronto, ontario wigs, human hair wigs, beauty supply stores for wigs in Toronto area. We have been the witness of the trend when shiny straight hairs were in. And, at some point, we too have desired the same while undergoing the long hair straightening sessions at the salon. But, with curly wig making the waves again, a new fashion has set in. Some of the best wigs brand have come forward with their affordable wigs range in the curly section today, which indicates the level of the craze for the curls nowadays. Requiring a little to no time to get set onto your scalp with no extra styling efforts, these wigs are a go-to option when you are short of time. With so many colourful wigs to try in this category, owning a curly wig lets you flaunt a new look every day. And, if you are in search of something extraordinary then the stocks of Wigs Canada is enough to quench your thirst for differently stylish wigs in this section. Below is the list of the hottest curly wig trends that are sure to get you a limelight. Explore now and get for yourself the most suitable curls. Slay this season with your sultry curly look. A Glamour wig is all what you need. Latest in the curly wig collection, its colourful wigs are sure to make people swoon over your good looks. Its medium to long shoulder length beautifully preserves that feminine look and flatters all face types with grace and poise. Coming from the Revlon family, this curly wig is a treat for the eyes. Its big full bouncy curls is something that you would instantly fall in love with. A wig with a breathable, light-weight, and natural-looking front line that is just perfect for any formal or casual occasion. When statement curls is what you long for, Bridgette can be your best pick. Want to wear a curly wig and yet want to go unnoticed? Then this is the wig you must pick. Its hand-tied monofilament top and lace front are some of the features that will add to your natural look. This petite cap piece is a perfect fit for anyone who wants to roam free in full style. You don’t have to be cautious about those bad hair days with Julianne lace front wig on to your top. An ultra-fine wig that is soft to blend perfectly with any skin tone and gets you a look for the lifetime. The exquisiteness of this curly wig piece lies in its chin length bob style, which can add a style statement to any face type. So when in search of an all-purpose look, don’t miss out this wig type. Keep it open or curl it up, this curly wig from Wigs Canada collection lets you opt as many styles as you want. Combining power and playfulness in its same piece, it gets you a look that you can feel confident about. Time to adorn that curly look ladies! You never know how things would curl up for you until you try them. Do get the perfect looking hair wigs Torontoin a trendy style.